Welcome! If you’re reading this, you’re obviously following along with our Bottled-in-Bond Challenge. If you’re seeing this for the first time, take a look at Chapter 1 to catch up. If you have a desire to watch us go through this challenge, make sure to watch on YouTube. You can watch us, or treat it like a Podcast and just listen, either way, check it out! There were definitely some interesting observations throughout this challenge. All of these bourbons happened to be around the $20 and under price point but they all have very different mash bills which makes it very fun. In full disclosure, I expected Very Old Barton to run away with this one, but then we learned some interesting information that proves even sometimes we get schooled. Very Old Barton used to be age stated as 6 year, but at some point the age was taken off (similar to Ancient Ancient Age). The 6 remains there, but it is not indicative of an age statement. I have been researching for two days to find out more information, but no luck. Onto the challenge… First up Very Old Barton. John’s Take: There’s some quick rye heat but no Kentucky Hug. I get a little vanilla and caramel on the taste but it leaves as soon as the rye heat hits. It only really tingles the front of my mouth and doesn’t travel any further. The back end is very dry. That first taste is really really good, but it’s like a fire came and scorched it all and you’re only left with a very dry and smokey back-end. Zeke’s Take: There’s a heat on the front and licorice on the back end. It’s almost like a mild Werther’s taste but quickly leaves for anise. John’s Take: You can definitely taste the rye, but it’s not very complex. The heat hits the back of my mouth and barely attempts to try and hit my throat. This one is real thin though… You lose all of the flavor on the back end but the heat travels back up and into the front of my mouth on the finish. Not a lot on this one besides heat. Zeke’s Take: This is thin and I feel heat going up my nose. Unfortunately, that’s about all I get. At this point, we always like to ask ourselves if there’s one of the two we can throw out. 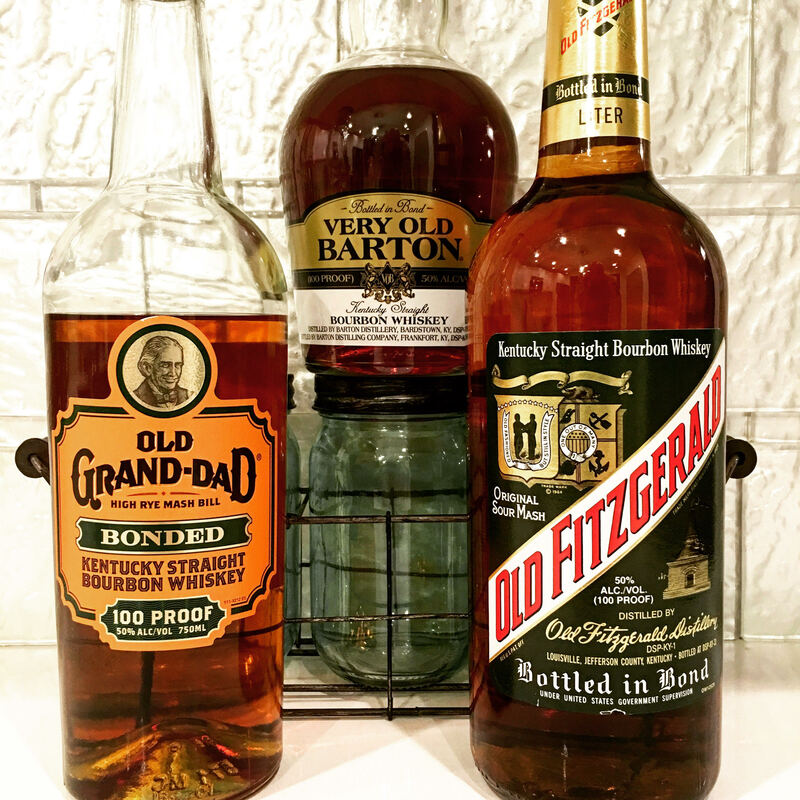 Unfortunately (and I do like it, don’t get me wrong) the Old Grand-Dad was just too thin and lacked the amount of taste and complexity that the Very Old Barton had. So, in the spirit of the competition, it gracefully exited the arena. John’s Take: I’m exited to try one of these that doesn’t have rye. I’m definitely getting some fruit, vanilla, and caramel on the nose and the taste. This one is extremely smooth and there’s not a lot of burn. The finish remains. This would definitely be a great sipper out of the group. Zeke’s Take: There is more balance. Not complex but offered more complexity due to the lingering of the finish on this one. Chapter 3: Stay tuned on Instagram Sunday night at 9:30PM CST to find out!